USB Car Charger can operate and charge devices which are USB compatible. Featuring the QC 3.0/2.0 fast charging technology, which shortens the charging time. 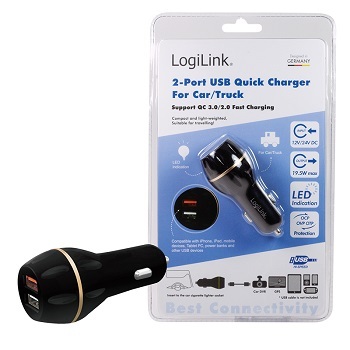 The charger fits into standard connector for the cigarette lighter in your car or truck.